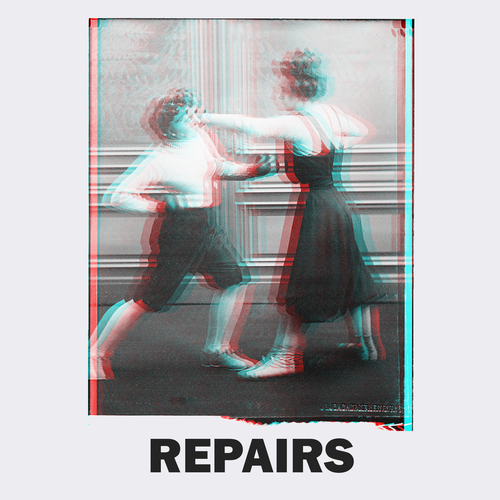 Repairs - Repairs! The Band! Repairs, a Auckland based post-punk-with-elements-of-power-pop trio, are incapable of designing a socialist paradise from the ashes of a failing capitalist order. Instead, Repairs just make music. That’ s right. Just music, because music won’t change the world, regardless of what that old hippie once told you. Simple variations of pitch, tone and rhythm. Heavily influenced by other variations of pitch, tone and rhythm made sometime in the past by some other people. Repairs are three people, but only two of them are married to each other. They all used to perform variations of pitch, tone and rhythm with other people under different names; some of which are too embarrassing to mention, and some that aren’t. In the interest of fairness we won’t mention any of them here.